How to Encounter a Professional Sales Skills Test? At your next sales job interview, you might find yourself staring down at a sales skills test that is required before the formal application process begins. 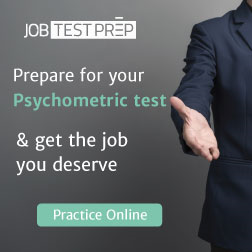 Whether your job interview is to higher sales or retail position, you can guarantee that a sales personality or skills test will be the test that is given. Whether you plan on selling cars, or computers, many employers today are shifting towards the skills tests, to screen out potential job applicants who are not natural salesmen or saleswomen. Used by employers such as Best Buy, Radio Shack, and even some car dealerships, a sales personality test is a significant portion of the hiring process. Often, before you speak to a hiring manager, you must first complete a sales skills test. You might be wondering at this point precisely what content is in this analysis, and what your potential future employer is seeking in the test results. Let's get a better understanding of these types of tests by first looking at what your prospective employer wants. For a sales position, any employer seeks an outgoing person who is not afraid to talk to complete strangers. Also, they want someone who will place the customer first, and have excellent customer service skills, should something go wrong in the middle of the sale. They want someone who wants to make money, but not at the expense of their morals. Besides, they want someone who is energetic. With a sales personality test, your future employer is asking questions of you, about yourself, that will fit these personality features. It is essential to remember when taking a sales skills test since you might not have precisely all of the personality features that your future employer is seeking. To an extent, you can usually stretch the accuracy of the test, to make your score on the test better than would be obtained by merely taking the test without putting much thought into it. To stretch the accuracy of the test, you must first imagine what your future employer expects of you as a salesperson. For instance, one of the questions might be, “The customer is always right”. Anyone who has ever worked in retail or sales before can assure you- the customer is not always correct. Sometimes, people have wide misconceptions about the way that a product works. However, the answer that your employer is looking for is that the customer is always correct. Here, your employer is looking from your customer service perspective. Consider another question such as, “I like to party on the weekends”. When you first see this question, you might be tempted to mark that item false. Simply put, you might not think that it is professional to admit that you like partying. Here, you would be incorrect on this question as well. 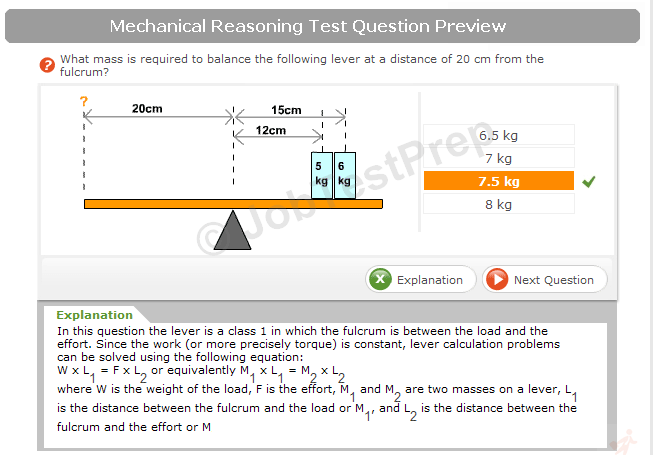 Your employer is seeking someone outgoing and energetic, start thinking like that on the test questions. Scoring on a sales skills test is typically given in percentage points, and the results are rarely shared with you during the interview process. However, some states do require that the employer release these test results. Many sales tests in today's modern world are custom made, and will not be similar to other tests by other employers. At the conclusion of your sales skills test (which typically takes less than an hour), you might receive a phone call on the next day to have the first interview. It is a big step for you at this point since most employers do not call back applicants that have failed a sales skills test. If you receive that coveted phone call, congratulate yourself! The rest of the interview should be straightforward since your future employer will already know your sales personality, and how it relates to your professional and personal life.